One of my favorite things to give for Christmas is the poinsettia! Poinsettias get a bad wrap because they are poisonous to animals but did you know that it can take up to 10 whole poinsettia plants to be poisonous to a cat? I have two cats and they will nibble on various plants and flowers I bring into the house but they don’t eat the whole thing. So, What is poisonous in the poinsettia? 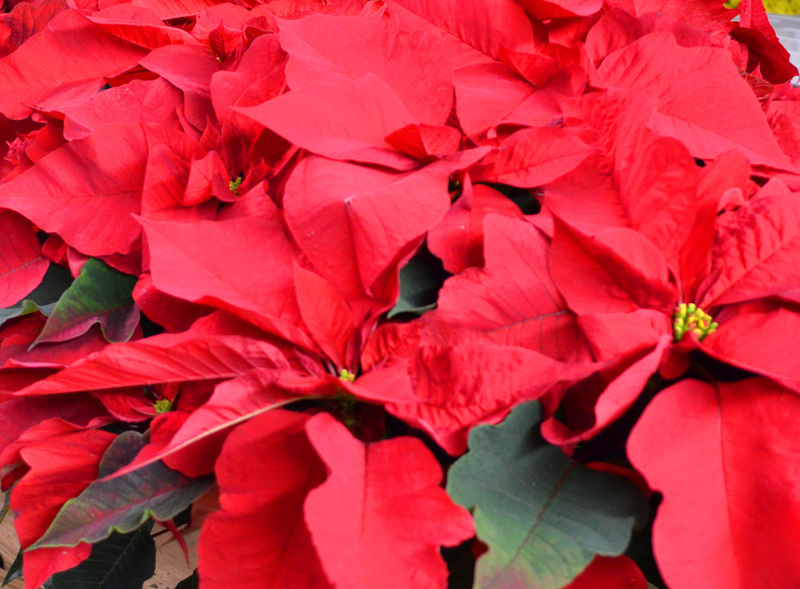 The milky white sap found in poinsettias contains the chemicals: saponin-like detergents & diterpenoid euphorbol esters. While poinsettias are commonly known as poisonous plants, the poisoning is greatly exaggerated. Also remember that poinsettias on affect cats and dogs, they are not poisonous in any way to humans. But just in case you are worried about your cat or dog being poisoned, here are a few symptoms to watch out for: vomiting, drooling, and rarely, diarrhea may be seen. If the milky sap is exposed to skin, dermal irritation - including redness, swelling, and itchiness- might develop. There is no at home treatment for poinsettia poison. If you feel your pet has been poinsettia poisoning, you will need to go see your vet. Since there is no true threat to your animals from poinsettias, feel confident to pick up a poinsettia before Christmas and enjoy having the beautiful colorful plant in your home all winter and spring! There are a few poisonous plants I want to note that you should worry about if you have pets. Just a few bites from a lily can result in severe acute kidney failure in cats. When holly is ingested, it can result in severe gastrointestinal upset thanks to the spiny leaves. If ingested, most dogs and cats lip smack, drool, and head shake excessively due to the mechanical injury from the spiny leaves. As for mistletoe, most of us hang it high enough so it’s out of reach of our dogs and cats but the leaves and berries can dry out then fall from the stem to the floor. So, keep an eye on your mistletoe after it is hung. Thankfully, American mistletoe is less toxic than the European varieties of it. Usually mild signs of gastrointestinal irritation are seen with mistletoe ingestion. When ordering your Christmas bouquet or a bouquet at any time of year, just mention to our sales staff if the home the flowers are being delivered to has animals and we will make sure to exclude anything that may be harmful! Because our designers love the look of variegated holly, we keep silk holly on hand to use in bouquets for homes with pets! Check out some of our great poinsettias and other plants by clicking below. Check out our Christmas Video below!